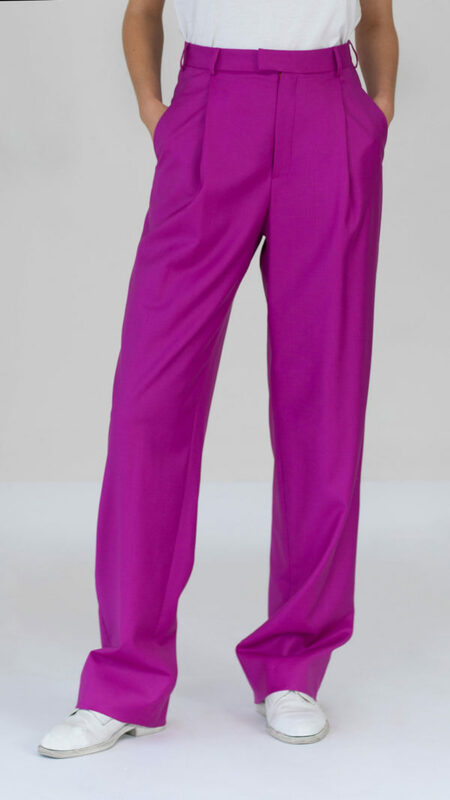 These pleated trousers are offered in fuchsia flannel woven in Italy. 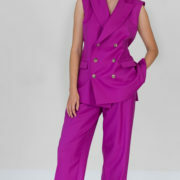 It’s two front and back pockets give the tuxedo style a more casual look. 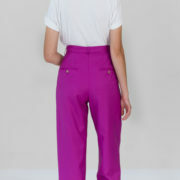 It sits high waist and break at the front lengthwise. 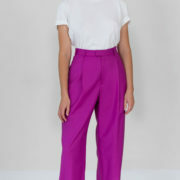 The pants’ body is entirely lined in viscose.